Heart attacks and congestive heart failure remain among the world’s most prominent health challenges, despite many breakthroughs in cardiovascular medicine. Out of 1 million people in the U.S. Who suffer from chronic, severe angina (chest pain due to blocked arteries), about 300,000 cannot be helped by any traditional medical treatment such as angioplasty. The destruction of heart muscle cells is the result of hypertension, a chronic insufficiency of blood supply to the heart muscle due to a sudden closing of a blood vessel supplying oxygen to the heart. Also, cardiomyocytes, i.E. Cells in the heart muscles that contract to eject the blood out of the heart’s main pumping chamber (ventricle), has a large demand for blood flow. Thus, specialized cells are important for shifting the injured heart muscle cells from a quiescent state into active cell division, and developing a new network of arteries to transport nutrients and oxygen. For this reason, stem celltherapy has been the hope for many patients with heart disease. Stem cells can self-renew and differentiate into specialized cell types, and thus are receiving much attention for the great potential to be used for regenerative medicine and tissue therapy . 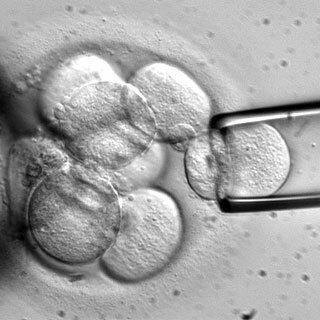 Stem cells can be retrieved from discarded embryos, umbilical cord, placenta after birth, adipose tissue, bone marrow, and mesenchymal cells. In addition to embryonic stem cells and adult stem cells, induced pluripotent stem cells (iPSCs) can be prepared by reprogramming cellular processes through introducing transcription factors . On July 1, 2011, the Korea Food and Drug Administration (KFDA) approved for the first time in the world a stem cell therapeutic for the acute myocardial infarction after a successful clinical trial . It uses autologous bone marrow-derived mesenchymal stem cells, and has been approved for the improvement of left ventricular ejection fraction in patients who underwent percutaneous transluminal coronary angiography within 72 hours after the onset of chest pain. Although the very first stem cell product in the world has been approved for treating heart disease , there are still pending uncertainties and practical limitations in the use of stem cells as therapeutics. First, more diverse, large-scale clinical trials should be conducted so that safety and efficacy are guaranteed. It needs to be seen whether stem cells can be genetically programmed to migrate directly to the site of injury and immediately synthesize heart proteins necessary for the regeneration process. Other challenges to overcome include preventing immune rejection by patients of stem cells prepared non-autologously, securing umbilical cord blood from a baby at the time of birth for later use without affecting child’s health, and developing iPSCs without using viral vectors and oncogenes. Obviously, the aforementioned scientific challenges cannot stop the stem cells from being used to treat heart disease in the near future; millions are waiting for their hearts to become healthy again. Patients worldwide will continue to anticipate the rise of stem cell treatment as a popularized therapy, until everyone gets to cure their long fought diseases.